This started after a conversation with my sister who is planning her daughter’s wedding reception. She said she wanted to serve a roll, a little sweet, with enough flavor that it is great on its own. This is a recipe from recipelink.com using a yellow cake mix to make rolls a lot like King’s Hawaiian rolls. They tasted great to me last night with dinner, but even better this morning when I had one for breakfast! Sweet! In bowl of mixer, pour warm water, sprinkle yeast over, then cake mix. Let sit 5 minutes. Add oil, flour, and salt, mix all together. Knead. Let rise 1 hour. Knead lightly again and turn out onto well floured surface. Pat out and cut for rolls and place on sprayed baking sheet or divide evenly into 30 pieces, make balls and place in two sprayed 9″x13″ pans (like pictured above). Can also be made into two large loaves. Let rise until double. Bake at 375° for 12-15 minutes for rolls and 30-35 minutes for loaves. Brush with melted butter as they come from the oven. These look super! Are you making enough for a whole wedding?! (My sis and I made 19 layer cakes for my daughter’s wedding and it actually was great fun in her tiny apartment kitchen). Happy baking!! Wow, 19 layer cakes, you are amazing! Can be fun when you are spending time with loved ones, I agree! What an interesting recipe using a yellow cake mix. I am going to have to try it soon! This looks delicious ! What is your favorite brand of cake mix ? I know some people just won’t use ‘anything’ ! Also, I wonder how yummy these rolls would be if you poured coconut milk/cream over them just before baking ? Just a thought. Try it Kristen, and let us all know !! 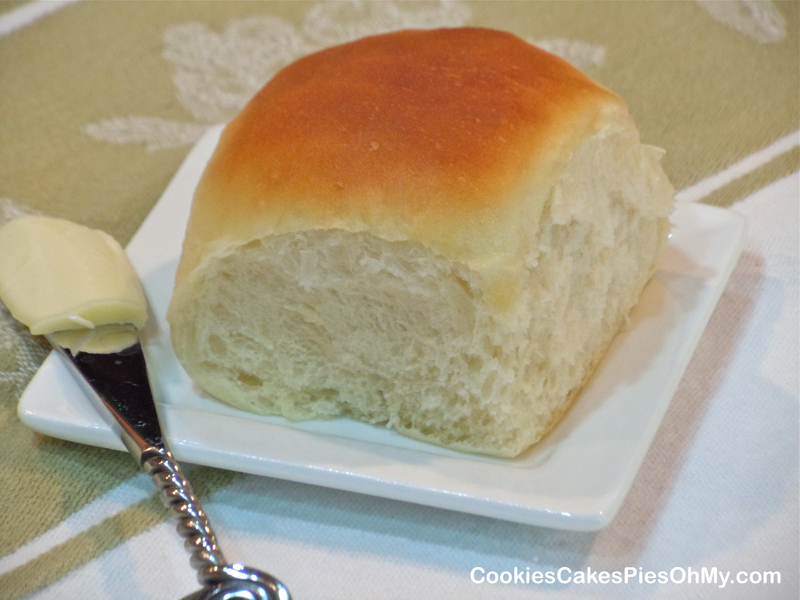 I just made these to go with dinner tonight….they are the best rolls I”ve ever made, absolutely wonderful. I halved the recipe (there’s just the 2 of us) and it’s a good thing I did, we would have eaten the entire batch! For the record, I used Aldi’s brand for the cake mix, will try Duncan Hines next time. Thank you for sharing this recipe! So glad this recipe worked well for you, there’s nothing like fresh hot rolls! Happy Baking! What type of flour did you use? Bread or all purpose? I did use all purpose flour. I am sure using bread flour would work too. Thanks for visiting my site! When you halved the recipe did you use only halved the cake mix? Yes, use half amount of all ingredients. Save other half of the cake mix for another time, perfect! Can this recipe be made using bread flour? If so, is the amount the same or different? I don’t own an electric mixer. Would an electric beater be too much, or should I just hand mix? I would mix by hand. A lot of muscle required! With a good book…sound perfect! Great idea Lori! I made these twice already and both times, they were gone in minutes. I have a question: when patting out the dough before dividing equally, how big should they be approximately. I will make another batch this week and would like them to be of equal size. BTW, the simple recipes on your blog have inspired me to bake more. Thank you. No, you don’t sound nuts. Thank you for the suggestion. I will try on my next batch. Does it matter what kind of cake mix (pudding in the mix)? I believe any cake mix will do, I usually use whatever I have in the pantry. Thanks for visiting my site! I am going to try this recipe out. What would you think about trying to make them in muffin tins? Great idea, love it! Happy baking! Okay, I’m a beginner, so apologies if this is a silly question, but do I use the whole cake mix? Just seems like a lot of flour and cake for that amount of water. Thanks. I’m late getting back to you, sorry! Yes, use the whole cake mix. I just made these rolls again a couple days ago for a party, people loved them. They have a unique sweet flavor because of the cake mix, it’s a fun change from regular rolls. Thanks for visiting my site, Happy Baking! Thank you for sharing the recipe! They look so yummy, I can almost smell the aroma too! Thank you for visiting my site, Happy Baking! Kind of new to baking bread. When kneading the mix in my mixer it was kind of sticky. I know other recipes I have used had me adding flour at this point. Should I do that, or is it supposed to be real sticky? Hi Ryan. You are right, this dough is a little bit stickier than some other bread doughs. Make sure and add all of the cake mix and the 5 1/2 cups flour. Turn out onto well floured surface, use the flour to help so it doesn’t stick as you divide for rolls. Hope this helps. Thanks for bringing this to me attention, I did just make them recently and you do need to use quite a bit of flour when you turn the dough out to shape the rolls. I will add that in the instructions, it will help to clarify. Happy Baking! Thanks for visiting my site. I made these last weekend. they are wonderful. I put everything in my 2 lb bread machine on the dough cycle and let it do the work. had to add extra flour. They came out great. making them again today. half of the dough for a loaf of bread and the other half will become Stromboli. thanks for the awesome recipe. Great idea to use your bread machine. Mmmmmmm, Stromboli is a great idea too! Just wondering if the buns can be frozen ? I would say yes, they can be frozen. I haven’t tried it, but I believe most breads can be frozen. I’m not a bread maker. 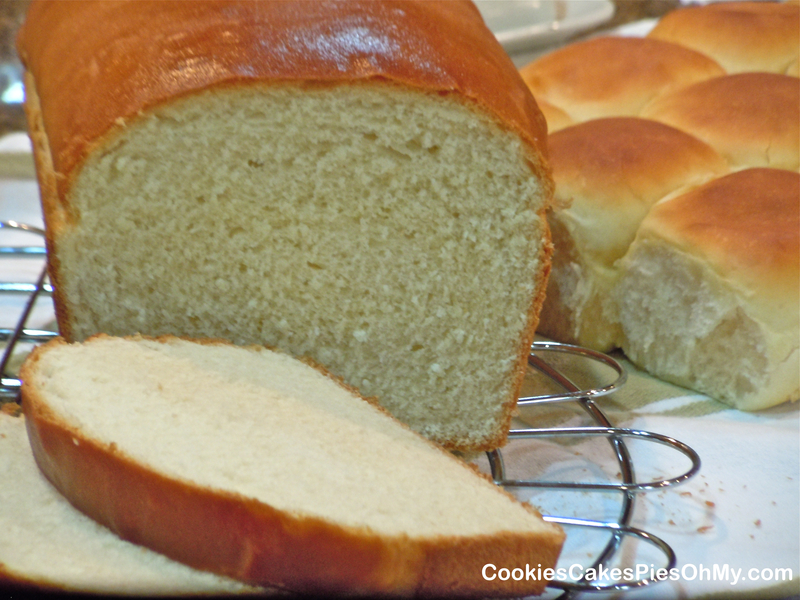 After you mix all the ingredients together, do you add flour when you knead? If you use a mixer to knead, don’t add any more flour. If kneading by hand, turn dough out onto a lightly floured board and knead. Add extra flour while kneading only if dough starts to stick at all. Thanks for visiting my site, happy baking! If cutting recipe in halve do you use only 1/2 the cake mix? Yes, half every ingredient. Thanks for visiting! 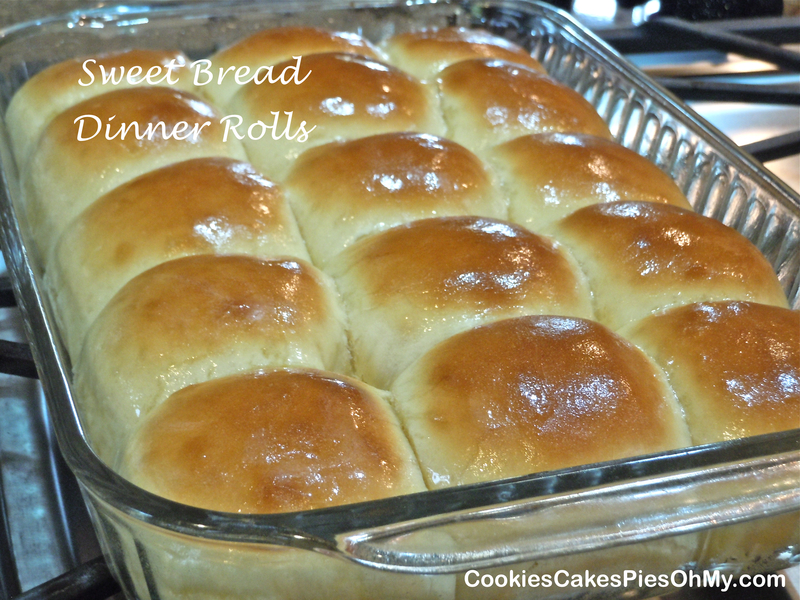 Do you need to use glass pan to bake these rolls? Any baking pan will work just fine, baking time may be a few minutes different, just watch to make sure. Thanks for visiting my site! Happy Baking! Getting prepared to try this recipe next week! Divide each third into five equal pieces. Divide each fifth into half. Thanks for sharing that Jodi!